Dracula was released in 2015. It’s developed by top notch gaming software provider, Net Entertainment. 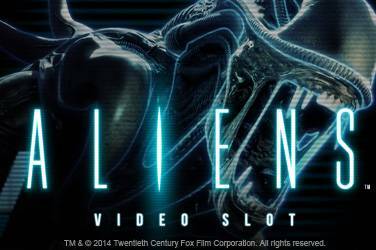 This game is produced in cooperation with Universal Studios and based on the 1931 film with the same title. This slot game features the most popular vampire in the world, Dracula. 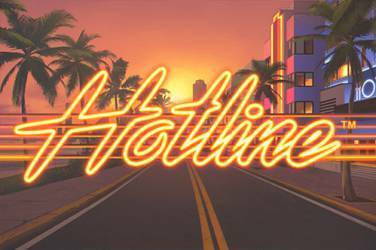 This game has impressive 3D graphics and high quality effects which absolutely make the gaming experience even more exciting and memorable for all kinds of players. 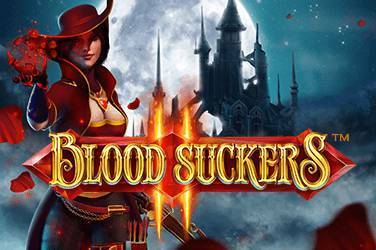 This gothic-themed slot game is popular for its unique and dark vibe. It has a fantastic opening video introduction which will instantly get all the players hooked. This game’s music and sound effects are also huge factors in its popularity. The background music is very captivating and invigorating for players. The sound effects, on the other hand, are heart-thumping and will definitely give the players goose bumps. The main characters Dracula and Mirena, the Lady, are beautifully designed and serve as a visual treat for players. This slot game is impeccably designed with top notch graphics and captivating music. Dracula is definitely a must-try casino game for newbie gamers and expert casino players as well. This slot game has 5 reels, 4 rows, and 40 paylines. It has a return to player percentage of 96.9%. To start the game, the player must first select which bet level he’s comfortable to play in by adjusting the ‘Level’ button. Then, the player should choose which coin denomination he’s going to use when placing bets. He can do this by pressing the ‘Coin Value’ symbol. The game offers an option to automatically place the maximum bet by clicking the ‘Max Bet’ button. The player must press the circular arrow button which serves as the Start button. After doing that, the game will then start and the reels will begin to spin. Dracula has Wild symbols, Scatters, a Bat feature, and a Free Spins feature. During the Bat feature, bats will appear and land in a cluster on any of the reels. The bats, which are in a cluster, will then turn into the same symbol which includes the Wild symbol. This often results into massive wins. On the other hand, when the stacked Dracula symbol lands on the 2nd reel and the Lady on the fourth reel at the same time, the Free Spins feature will be activated. Once Dracula is able to reach the Lady, the player will earn 10 free spins. Dracula has an amazing Autoplay feature. This feature allows the player to play for several rounds without any interruptions. He just needs to follow four steps to activate the game’s Autoplay mode. The first step is choosing the bet level that the player’s comfortable to play in. The second step is choosing the coin size. The third step is selecting the number of rounds that the gamer wants to play on Autoplay mode. The fourth and final step is pressing the circular arrow button to get the game started. Dracula can be played on a lot of different devices. People can play Dracula on their laptops and desktop computers if it’s running on Windows, Linux, or Mac operating systems. Now, it can also be played on mobile. This slot game is compatible with Android smartphones and tablets, Windows devices, iPhones and iPads, and even on Kindles. The mobile version of a game is very convenient for all players. Before, they still have to be at home or in a cafe to be able to play using personal computers. But now, players can just whip out their phones from their bags or pockets and start playing anywhere and anytime they want. Busy people can play Dracula while riding public transportation or while waiting for their turn at appointments or banks. Powered by NetEnt touch, this game is highly optimized for mobile gaming so players are ensured of a high quality gaming experience. Dracula has a free play version which absolutely anyone can enjoy. This free play version is helpful for both newbie gamers and expert casino players. For newbie gamers, this free play version can serve as their practice period. This will give them multiple chances to master how the game works and fully understand the game mechanics. It’s very important for players to get a good feel of the game first before going ahead and getting their money involved. It’s crucial for players to first figure out if this game is suitable for them and not too hard to comprehend. By doing this, newbie players will have greater chances of winning the elusive jackpot in this slot game. For experienced players, trying out the free version first is definitely a smart move. Instantly spending cash on any game that a player’s currently fancying is not a wise decision. It’s important to try a game at least once before spending their hard-earned cash on it. The players should first think if they really like the game and if they think they can win prizes in this game. This game has a minimum bet of $0.20 and a maximum bet of $200 per round. The minimum number of coins per line is 1 while 10 is the maximum. The coin denomination ranges from 0.01 as the smallest to 2 as the highest. This slot game’s jackpot is 200 coins per spin. If bonus symbols and multipliers will be added, a player could win up to 80,000 coins in this game. Here are some of the casinos where Dracula can be played: EnergyCasino, 888 Casino, Frank Casino, 777 Casino, SLotV Casino, PlayFrank Casino, Casino Cruise, Joycasino, Drift Casino, Thrills Casino, Zodiacu Casino, Kaboo Casino, Superlenny Casino, Quasar Gaming Casino, Mucho Vegas Casino, Betway Casino, Spin Palace Casino, Jackpot City Casino, Casumo Casino, Ruby Fortune Casino, Gaming Club Casino, Yako Casino, River Belle Casino, and Galaxy Pig Casino. 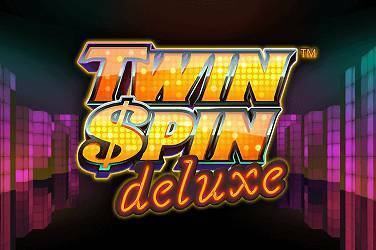 Play our best free spin slots by clicking on the link.